Elecard company, founded in 1988, is a leading provider of software products for encoding, decoding, processing, receiving and transmission of video and audio data in different formats. The main groups of products produced by Elecard include: professional software products and software development kits (SDKs); products for in-depth high-quality analysis and monitoring of the media content; solutions for IPTV projects, digital TV broadcasting and video streaming; transcoding and video-on-demand servers. Elecard also offers easy-to-use and full-featured end-user programs essential for fast and high-quality multimedia editing, processing, conversion and playback. Currently Elecard team is working both with widespread in-demand formats (MPEG-2, MPEG-4, H.264/AVC etc. ), and with the most acute, gaining high popularity formats such as HEVC/H.265, VP8, VP9, AV1. Our products are highly appreciated and widely used by the leaders of IT industry such as Intel, Cisco, Netflix, Huawei, Blackmagic Design, etc, and in the end of 2015 Elecard received a silver partnership status in the Microsoft Partner Network. One of our striking advantages is that an integrator company is able to buy everything it needs - reference design, software, components and technical support in one place. The application area of the company's technologies is very wide and includes software solutions for PC and mobile platforms; security and video surveillance systems; terrestrial, cable and satellite broadcasting; advanced real-time and offline transcoding and professional video quality monitoring. Elecard Group incorporates several private IT companies: Elecard Devices, Elecard-Med, Solveig Multimedia, Triaxes Vision. 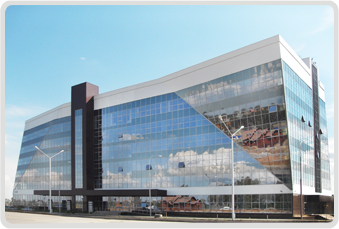 The company's headquarters is located in Tomsk, Russia. In 2007 Elecard opened its regional office in San Mateo, California and in 2011 – in Vung Tau, Vietnam. The company employs over 160 people. Among them are high-level experts, holding postgraduate and Ph.D. degrees. The company offers internship placements for students, while some of the current employees teach at the universities of Tomsk. Elecard's research officers wrote several books on computer graphics that were published in both Russia and the U.S.
Elecard provided CodecWorks platform for the first time in Russia 8K video broadcasting at CSTB 2019. Elecard participated in setting up live video streaming of football matches of FIFA World Cup 2018 within the stadiums with a minimum possible latency via CodecWorks. Elecard turned 30. We treasure our relations and try to be by your side any time you need us no matter where: Russia, Germany, USA, Japan, Italy, China, Anguilla islands, Antigua and Barbuda. Development of hardware and software solution for stadiums - organizers of football matches of FIFA Confederations Cup 2017: encoding of SDI HD signals and further real-time broadcasting with a minimum possible delay: 220 ms from cameras to end-users. Release of a fully renewed Elecard StreamEye product line - the most popular products for detailed analysis of encoded video. Elecard released SenSay (a Boro service now) – a video quality assurance service with a focus on MPEG-2 TS parameters and analysis of video content. The world’s first demonstration of multibitrate HD broadcasting in HEVC format using HLS protocol at Mobile World Congress (Barcelona). Elecard released a software development kit Elecard Codec SDK G4 Linux with 64-bit versions of components for creation applications aimed at broadcasting and playback of digital content at Linux-systems. Start-up of a pilot project designed to implement DVB-T2 infocommunications networks within the framework of the Federal Target Program of Television and Radio Broadcasting Development in the Russian Federation for 2009-2015. Elecard moves headquarters to Special Economic Zone of Technical Innovation Type in Tomsk, Russia. Elecard announces expansion in Southeast Asia and launches a new regional office in Vung Tau, Vietnam to support existing clients and partners, and establish prospective business relations with foreign high-tech companies. For the first time in the history of Russia, Elecard demonstrates live 3D content streaming in the 2D+Z format at the country's largest telecommunication exhibition Sviaz-Expocomm 2011 in Moscow. Elecard successfully develops the new generation of low-delay codecs for wireless broadcasting systems. Company releases a home digital set-top box “Domashniy Infokommunikator” for the Russian market that offers superb Digital TV experience, provides access to electronic government services, and can be used as a payment terminal for making fast and secure online money transactions. Elecard Devices releases the newest AVC/H.264 encoder that demonstrates the fastest encoding speed and high picture quality according to the MPEG-4 AVC/H.264 Video Codec Comparison tests carried out through Moscow State University Compression Project. Elecard develops a roadmap for a new home digital set-top box that will combine Digital TV services and interactive features, as well as an easy access to electronic government services. Elecard establishes a new subsidiary Elecard nanoDevices, which will focus on developing Systems on a chip (SoC) based on 65nm technology. Company starts manufacturing HDAccess capture cards for receiving and transmitting MPEG-2 TS data via DVB-ASI in Russia. Startup of set-top box manufacturing in Russia. Elecard Devices becomes officially accepted as a resident of Tomsk Special Economic Zone of Technical Innovation Type. Elecard Ltd and MainConcept AG separate and split resources. Elecard Devices releases a firmware solution SIGMA iTV for IPTV. Solution comprises CodecWorks AVC/H.264, XStreamer DVB-IP streamers and IP-DVB incapsulators, V-Cinema VoD and TimeShift servers as well as a line of iTelec STB set-top boxes. The first demonstration of HDTV broadcasting in AVC/H.264 format in Russia over the YAMAL-202 satellite in April of 2006 during the Russia-Germany summit held in Tomsk. Elecard and MainConcept AG team up. A new company in the Elecard group is founded: Elecard Devices. The world's first satellite broadcasting in AVC/H.264 format together with BBC Corporation (UK) in Amsterdam. Company releases DVD simple player, MSeye, MPEG Player v2.1, SDK v3.0. H.264/AVC Codec, released the same year as the standard itself, makes it into the top 5 best quality and productivity codecs. Company combines efforts in marketing its technology and products with Moonlight Cordless Ltd, with headquarters in Israel. Elecard Ltd. works on the Russian domestic market specializing in multimedia production development, Internet and Intranet software development, and digital video research. Developing custom software (DirectShow Filters) for a real time MPEG2 capture board based on the C-Cube and Philips chips. Developing a technology for microscopic image acquisition and analysis for health care institutions and law-enforcement agencies. Developing the Intranet Security System, multi-channel, multi-user digital video&audio surveillance system based on a number of video and audio recording boards. Digital X-Rays System for health care institutions. Hardware and software systems for Research Institute of Russian Academy of Medical Sciences. Cardiology Institute. Real time video digitization and analysis. Company releases MPEG Editor based on Microsoft ActiveMovie (a.k.a DirectShow) filters. Elecard announces a multi-channel Sound Recorder and special-purpose hardware for surveillance systems. A new company, Tekhnika Dela, spawned from Elecard Ltd promotes the new product. Elecard splits into two companies - Darim Vision Co. Ltd. and Elecard Ltd. respectively. Elecard Ltd focused on software development in the field of image processing, compression/decompression of video and audio data, network transmission and multimedia data storage. Elecard develops multimedia applications and PC hardware. Among the company's products are Frame Grabber - an acquisition board for TV signals, VideoCatcher - a multimedia-targeted video capture board and databases for law-enforcement agencies and health care institutions. Portret, an information retrieval system for law-enforcement agencies, is installed in 260 cities of the Russian Federation. The MPEG1 Playback board with special software for Autodesk(R) 3DStudio(R), MPEG Animation Recording System (MARS) was developed.